The Ecclesiastical Museum of Milos, housed in the church of the Holy Trinity (Agia Triada) in Adamas, features a collection representing a large part of the many centuries of artistic heritage of Milos Island. 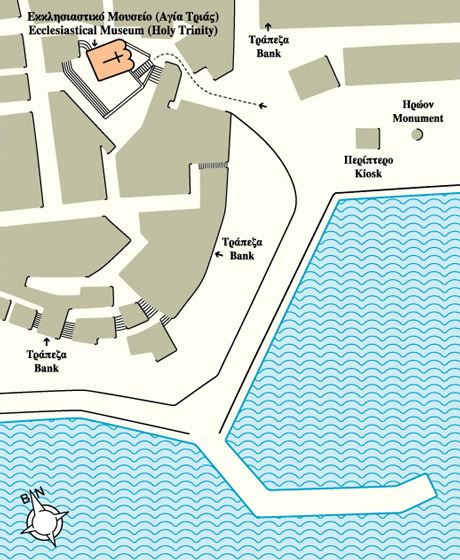 It contains icons and wood carvings echoing the financial prosperity of the island under the Venetian rule and including votive offerings of Melian immigrants to Russia. 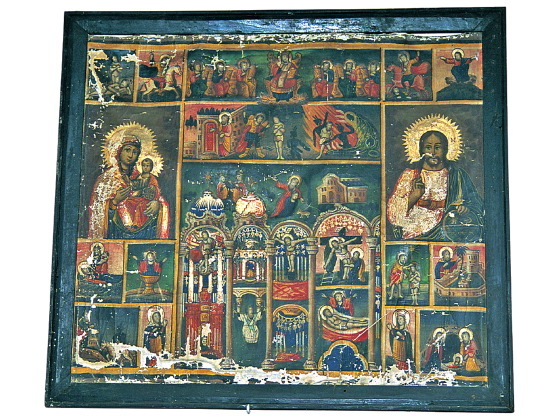 The Ecclesiastical Museum of Milos includes 14th-century icons, e.g. a rare one of the Cretan School representing the body of Christ being taken down from the Cross, and several paintings by Emmanuel and Antonios Skordilis, the Cretan painters who launched a brilliant career in Milos in 1647 and established a new style in post-Byzantine painting based on Flemish copperplate engravings. In addition to icons, there are fine examples of "epitaphios", wood-carved lecterns and icon-stands of the 17th century, a bishop’s throne and iconostases of the same period, silver chalices and censers of the 18th century, gold votive offerings, such as rings, necklaces, earrings, etc., all attesting to a high artistic level while conveying a picture of local religious folklore.